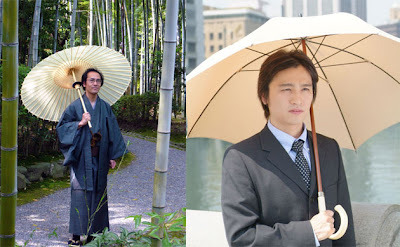 If you think bringing umbrellas is a girl thing, not to metrosexuals of Japan, a lot of Japanese metrosexuals now are seeking refuge from male parasols, in fact many of the department stores in Japan now stock rather manly designed parasols. 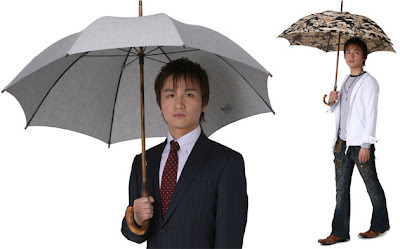 So, is it nature telling us here some sense of egalitarianism between wo/men by way of parasols? Or its just simply vain men afraid of having their well invested assets ruined by nature… in some sense, I think it’s the same idea… I find it cool though, I can’t wait to see my musled neighbor here in parasols walking down the street in broad daylight with hello kitty printed umbrellas…hahahah!